Engineers from the University of California, Berkeley have developed a new photonic switch that can direct the light traveling through optical fibers more efficiently and rapidly than ever before. This optical “traffic cop” could someday transform the way information passes through data centers and high-performance supercomputers that are employed in artificial intelligence and other data-intensive applications. The photonic switch is developed with over 50,000 microscopic “light switches,” each of which controls one of 240 small beams of light to either travel straight when the switch is off, or to make a right turn when the switch is on. The 240-by-240 array of switches is engraved into a silicon wafer and covers an area which is just somewhat larger than a postage stamp. For the first time in a silicon switch, we are approaching the large switches that people can only build using bulk optics. Our switches are not only large, but they are 10,000 times faster, so we can switch data networks in interesting ways that not many people have thought about. Ming Wu, Professor, Electrical Engineering and Computer Sciences, UC Berkeley. Wu is also the senior author of the paper, which was published online in the journal Optica on April 11th, 2019. Presently, the only photonic switches that can direct hundreds of light beams simultaneously are made with lenses or mirrors that have to be physically turned to change the direction of light. Each turn accounts for around one-tenth of a second to complete, which is ages when compared to electronic data transfer rates. 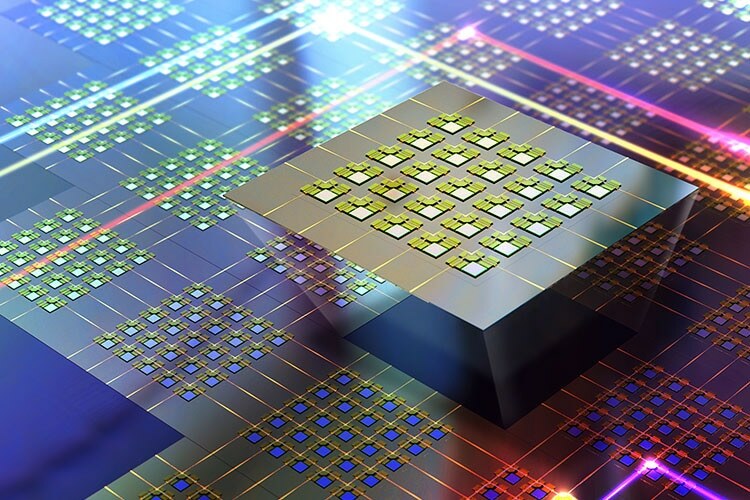 The new photonic switch is developed with minute built-in silicon structures that can switch on and off in a fraction of a microsecond, reaching the speed required for use in high-speed data networks. Data centers—which store documents, photos, and videos saved in the cloud—are made up of hundreds of thousands of servers that are continuously transmitting information back and forth. Electrical switches serve as traffic cops that ensure information transmitted from one server reaches the target server without losing any data along the way. However, as data transfer rates are continuously increasing, the limits that can be handled by electrical switches are being reached, stated Wu. Wu said that server networks could rather be linked by optical fibers, with photonic switches serving as the traffic polices. Photonic switches need very meager power and do not produce any heat, hence they do not confront the same drawbacks as electrical switches. However, existing photonic switches cannot hold as many connections and also are beset by signal loss—basically “dimming” the light as it travels through the switch—rendering it difficult to read the encoded data once it arrives at its destination. In the innovative photonic switch, beams of light pass through a crisscrossing collection of nanometer-thin channels until they arrive at these individual light switches, each of which is developed like a microscopic freeway overpass. When the switch is off, the light passes straight via the channel. The switch can be turned on by applying a voltage that lowers a ramp that leads the light into a higher channel, which turns it by 90°. The light is lowered back into a perpendicular channel by another ramp. The group engraves the switching structures into silicon wafers using a method known as photolithography. Currently, the scientists can create structures in a 240-by-240 array—240 light inputs and 240 light outputs—with reduced light loss, making it the largest silicon-based switch ever invented. They are working on correcting their manufacturing method to produce even bigger switches. Larger switches that use bulk optics are commercially available, but they are very slow, so they are usable in a network that you don’t change too frequently. Now, computers work very fast, so if you want to keep up with the computer speed, you need much faster switch response. Our switch is the same size, but much faster, so it will enable new functions in data center networks. Co-lead authors on the study are Tae Joon Seok of the Gwangju Institute of Science and Technology and Kyungmok Kwon, a postdoctoral researcher and Bakar Innovation Fellow at UC Berkeley. Other co-authors are Johannes Henriksson and Jianheng Luo of UC Berkeley. This study was funded by the Advanced Research Projects Agency – Energy (ARPA-E) (DE-AR0000849), the National Science Foundation (NSF) (1827633, EEC-0812072), Google Faculty Research Award, UC Berkeley Bakar Fellows Program, and the National Research Foundation of Korea (NRF) (2018R1C1B6005302).